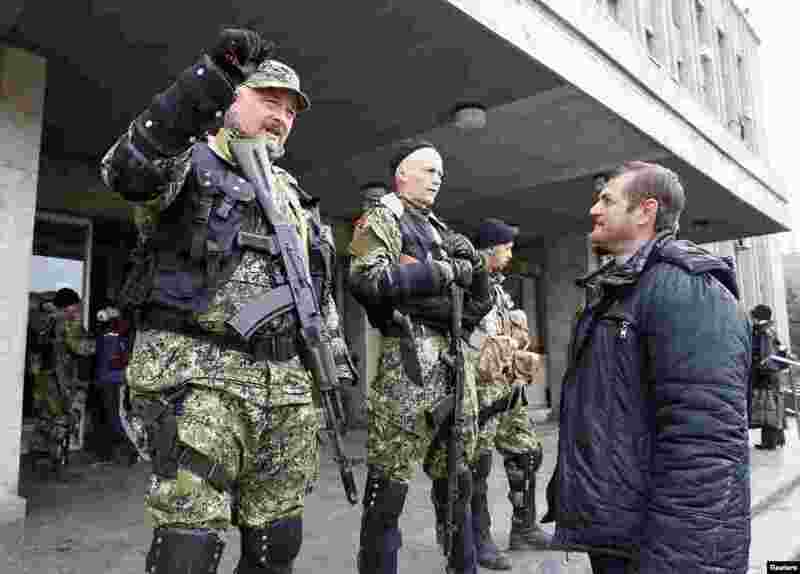 1 A local resident talks to pro-Russian armed men standing guard outside the mayor's office in Slovyansk, Ukraine, April 14, 2014. 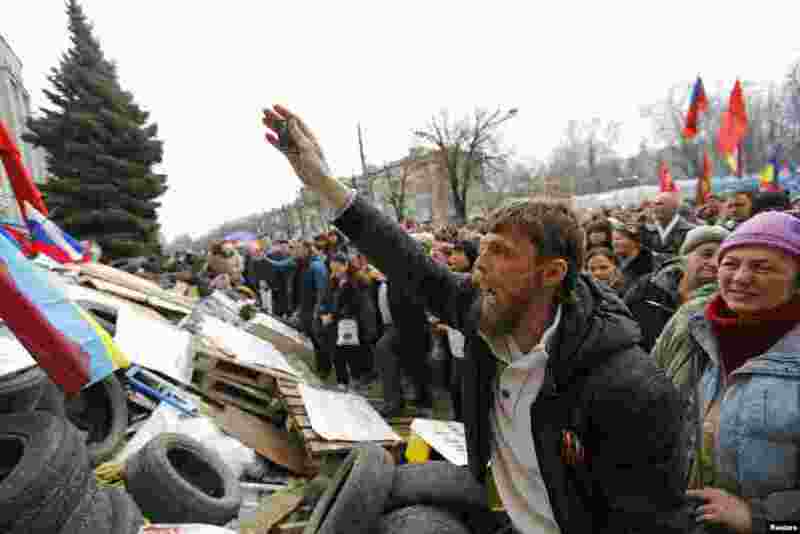 2 Pro-Russian protesters gather in front of the regional administration headquarters in Luhansk, eastern Ukraine, April 14, 2014. 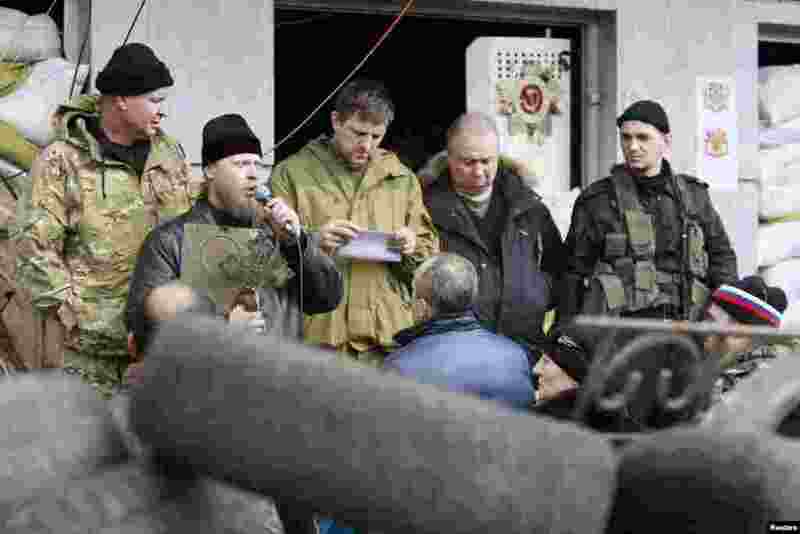 3 Pro-Russian protesters attend a rally in front of the seized office of the SBU state security service in Luhansk, eastern Ukraine, April 14, 2014. 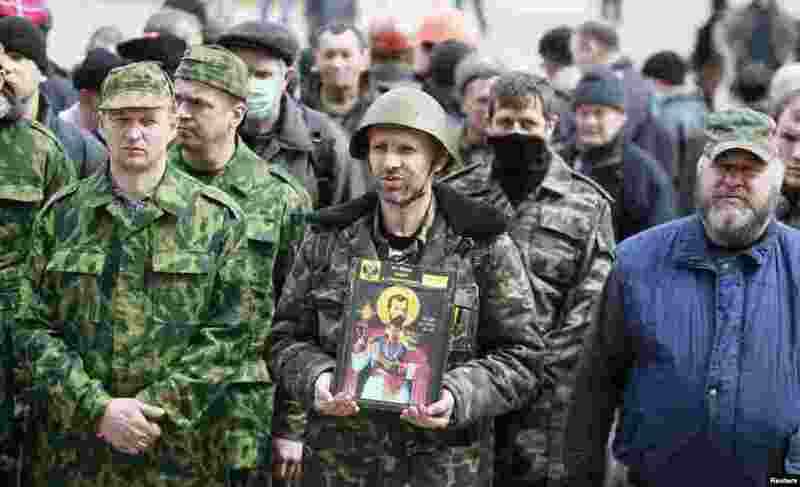 4 A clergyman addresses pro-Russian protesters during a rally in front of the seized office of the SBU state security service in Luhansk, eastern Ukraine, April 14, 2014.